Astronomers think, but they don't know because we can't see them, but they think there are lots of brown dwarfs about. There is a suggestion there is at least as many brown dwarfs as there are stars. There's more than a billion stars in our galaxy. For the first time a powerful laser has been used to further our understanding of one of the most mysterious celestial objects just beyond the solar system. Despite being discovered 20 years ago, very little is known about brown dwarfs – notably why they fail to grow into stars. Scientists say part of the answer probably lies in the physics of how dense plasmas merge inside them. Now researchers, led by the York Plasma Institute at the University of York and the UK's Science and Technology Facilities Council's (STFC) Central Laser Facility, have created "lumps" of plasma to recreate the conditions similar to those found deep inside brown dwarfs. They were able to do this using one of the world's most powerful lasers, STFC's Vulcan Petawatt that is based at their Oxfordshire laser laboratory, to create the first test of resistivity and viscosity found in brown dwarfs. Brown dwarfs bridge the gap between very low mass stars and planets and share characteristics with both. Despite being numerous across the immensity of space, these little "starlets" are hard to spot because they are small and cool in temperature so tend to be faint and difficult to record. But by measuring the x-rays emitted from these objects, the researchers were able to build up a profile of how dense plasmas form inside brown dwarfs. The results, published in Nature Communications, pave the way towards furthering our understanding of these celestial objects. 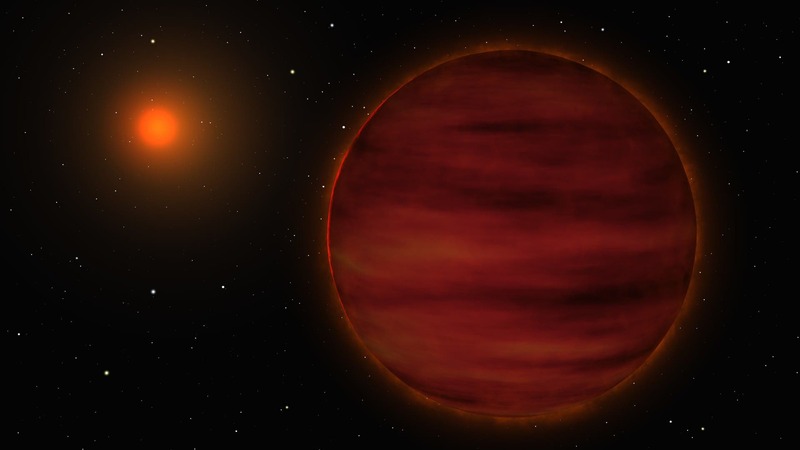 "Brown dwarfs are really difficult to observe because they are cool and our atmosphere absorbs the emissions from cool objects," says Nigel Woolsey, from the Department of Physics at York. "One of the issues you have in brown dwarfs with dense matter is how this material comes together and how hot it gets. This basic research is furthering our understanding of matter in extreme environments and furthering our understanding of exotic objects. "The Vulcan Petawatt laser is one of the few places on Earth where we can produce conditions close to those at the centre of a brown dwarf," observed lead author, Dr Nicola Booth, an alumna of York and now an experimental research scientist at STFC's Central Laser Facility. "We hope that with the predicted future observations of brown dwarfs, our experiments can help with the understanding of how energy is transported in these 'starlets'." It is hoped NASA's premier observatory, the James Webb Space Telescope, currently under construction in the U.S will help scientists understand brown dwarfs in the future. The research was led by the University of York and STFC, in collaboration with researchers from the University of Oxford, University of Nevada, Instituto Nazionale di Optica, and Queen's University Belfast. Red Dwarf Stars May Answer the Question: "Are We Alone?" Giant Planet-Like Brown Dwarfs –"Harbor Powerful, Pulsing Auroras"